OUR WINTER CHALLENGE IS HERE! Forgiveness is a beautifully transformative practice. It asks us to name the unnamed in our lives and bring oxygen and light to the shadows of our actions, words, or choices gone awry. Forgiveness is merciful courage in practice. Forgiveness is often discussed in relationship to another. Yet I’ve found we are seldom quick to forgive others when we haven’t yet forgiven ourselves. In honor of Sandi—who was born February 7th and died February 11th 54 years later—we’ll be diving into our own self-forgiveness in ways that matter most to us this February. Below are the details for how to participate in #FEBRUARYFORGIVENESS in our private Facebook community, The Courageous Collective. In this small, private community, we practice courage in ways big and small. We engage with ourselves and with each other in thoughtful ways. We hold this space sacred; all that happens here, stays here. We love each other right where we are. We look our fears in the eye. We feel with each other rather than trying to fix each other. Sometimes it is far easier to observe and scroll on by in social media. I get that – I do it too. Sometimes we only have the strength for observation. Sometimes we’re not at a place to practice self-forgiveness openly either. If you find yourself there, may you still find inspiration this week in bearing witness, holding space, and supporting others. That said, if you feel nudged to participate in #FEBRUARYFORGIVENESS, we will be here for you, holding space, offering love and support, and welcome the same from you. Here’s to being ourselves and practicing self-forgiveness together! The Week: Thursday, February 7th – Thursday, February 14th, 2019. We’ll begin by naming where we want to/are practicing self-forgiveness. You are welcome to name via a post or a Facebook Live. 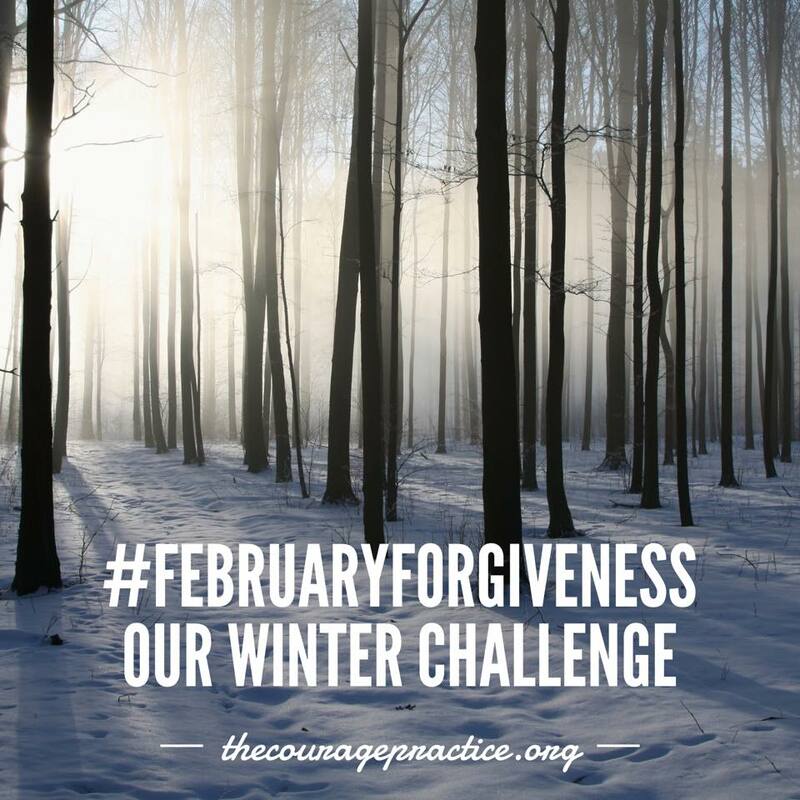 #FEBRUARYFORGIVENESS is our hashtag of connection. When you share, please include this hashtag in your post or FB Live so we can easily see it and share our love and support with you. Forgiveness takes intention and time. Every day throughout this challenge, there will be a daily prompt to support your on-going practice and to share your experience with us. No assholery, only badassery please. All comments and posts will be monitored to ensure this challenge is safe, loving, and supportive to all. Reason #2: When we forgive ourselves, we courageously release what is holding us back. Reason #3: Daily participants will be entered to win one of THREE FREE Intuitive Readings from The Courage Practice! See details on give-aways below. Reason #4: When we name our practice aloud beyond ourselves, we give power to our healing and strengthen our courage. This is why sharing aloud with another soul is so helpful. Being seen and heard matters. Reason #5: Because my mother would be so proud of you. ;) She was a mother to everyone she met and her heart for self-forgiveness is with us in this space. Reason #6: What is your reason to practice self-forgiveness? Honor it and share it with us. THREE Courageous Living, Loving, & Leading Intuitive Readings will be given away at the end of the challenge. The reading details: A 75 minute, intuitive reading and ten card spread, featuring one card highlighting the theme for the full reading as well as three cards of the past, three cards of the present, and three cards of the future for your life, love, & leadership. Three recipients will be randomly drawn from the list of daily participants and announced Friday, February 15th. Got questions? Post them in the comments or thread below. Thank you so much for being here in this community and being willing to practice your courage in the company of other kind and compassionate souls. 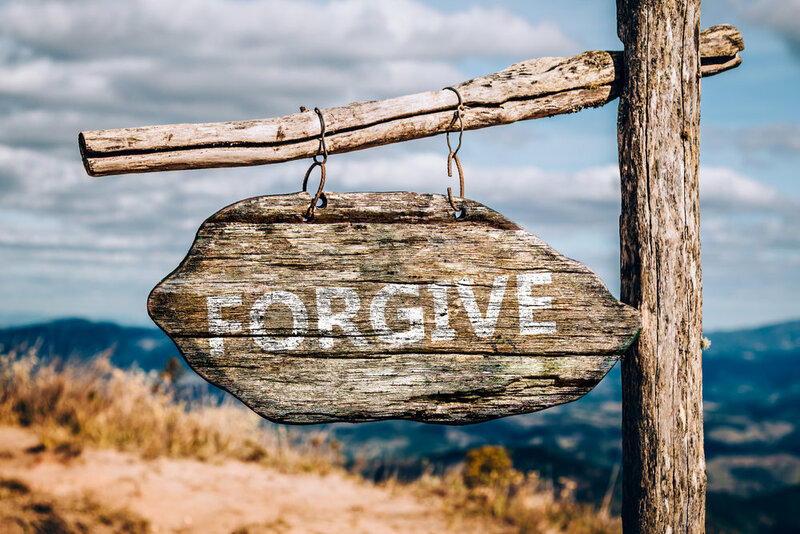 I will be joining you in #FEBRUARYFORGIVENESS as I practice self-forgiveness in my own life and I look forward to going live and posting this week with you all! NOT A MEMBER OF OUR FREE, PRIVATE FACEBOOK COMMUNITY?